Terra worked in the Zoological Society for her first rotation. She really came out of her shell during this internship. 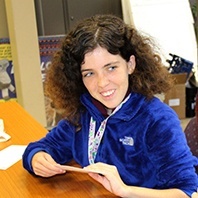 Terra is usually shy and soft spoken, but by the end of her rotation, she was able to contribute to her coworkers’ discussions and able to initiate conversations with people. 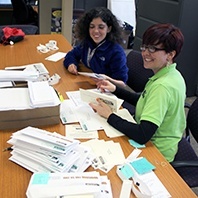 In the Zoological Society building, Terra helped with manning the customer service desk, staffing envelopes for mailings, filing, and sorting documents and mail. 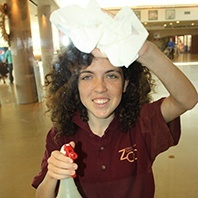 She was also asked to various tasks as they came up such as light cleaning around the office and helping her manager prepare for visitor field trips.